Can make sense out of confusion while helping them stay focused on what matters. 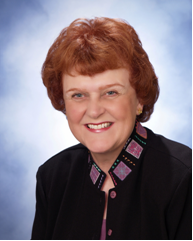 Judy has served as president of the International Society of Performance and Improvement (ISPI). She is currently a member of the Human Resource Management Advisory Committee for the Forbes School of Business and Technology at Ashford University. In the past she has served as president of the International Board of Standards for Training, Performance, and Instruction (IBSTPI) and on task forces undertaking research related to credentialing. She has served on the ISPI President’s Advisory Council and on the Illinois Occupational Skills Standards Credentialing Council. Judy received three evidence credentials: The Certified Performance Technologist (CPT), offered by the International Society for Performance Improvement (ISPI), the Certified Assessment & Credentialing Professional (CACP) and the Instructional Designer Developer Certification (CIDD) awarded by the Institute for Performance Improvement. Her firm was also was awarded two Outstanding Human Performance Improvement Awards from ISPI for 1) creating an instrument to measure the knowledge of wheelchair providers in under-resourced countries and 2) creating a global, evidence-based certification for architectural lighting designers (CLD) issued by the International Association for Lighting Designers (IALD). She received the ISPI’s “Life Member” award and the “Gilbert Award.” She was awarded Fellow by the International Board of Standards for Training, Performance, and Instruction (ibstpi). She taught graduate courses in management for 14 years for the Insurance School of Chicago and received the school’s “Outstanding Educator” award. Judith speaks regularly at international and national conferences on subjects related to competence, credentialing, evaluation, implementation, assessment, and performance improvement. She is an advocate for economic equity, protection of our environment, and animal rights. Judy's latest book The School Improvement Specialist Field Book (2013) was co-authored by Deb Page and received ISPI Outstanding Communication Award. Judy is also the author of the popular and award winning resource about certification - Performance-Based Certification: How to design a valid, defensible, cost-effective program, 2nd ED (2012), the best-selling resource on performance improvement consulting - Performance Consultant’s Fieldbook: tools and techniques for improving organizations and people, 2nd Ed (2007); Outsourcing Training and Development (2006); Performance-based Management: What every manager should do to get results (2003); Performance-Based Evaluation: tools and techniques for measuring the impact of training (2002); The Training Manager’s Competencies (1989); and co-author of Achieving a Leadership Role for Training (1995). Judy is a contributing author to the ISPI Handbooks on Evaluation and Interventions (2009) and a contributing author to the ISPI Handbook of Performance Technology, 3rd edition (2006). She wrote the chapters “The Intervention Questionnaire” in What Smart Trainers Know, ed. Lorraine L. Ukens, Jossey-Bass Pfeiffer (2001) and “The Hierarchy of Interventions” in the Source Book for Performance Improvement, Pfeiffer (1997). She was the topic editor of Designing Work Groups, Jobs, and Work Flow andDesigning Cross-Functional Business Processes, published by Jossey-Bass (1995). She developed the Standards for the Training Function, 1995, and the Workbook and Guidelines for Designing Valid Tests (1995). Judy was awarded a B.A. from Ohio State University in communications, a M.A. from Miami University in communications, and a Ph.D. from Purdue University in instructional design. Her doctoral research was on how to control bias in competency studies.